Mini creative opportunities. 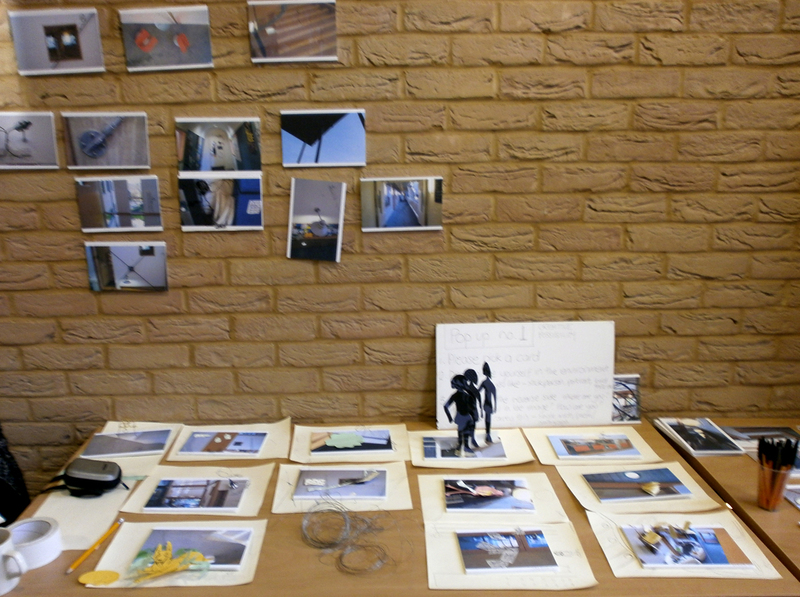 People passing the Pop up in the Faculty were invited to pick one of the photographs of the details of the interior of the Donald McIntyre building and place themselves in it in a playful or meaningful way. They were encouraged to reflect on what they were thinking from this new unfamiliar perspective and write these on the back.